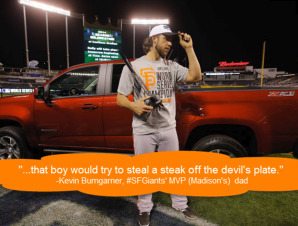 How Do Lackluster SF Giants Keep Winning in Post-Season with Bumgarner 'One Man Wrecking Crew' ? #Cheat | Where Did You Go Joe Dimaggio? The Giants say ‘Just get us into the playoffs’ and we’ll take it from there. Which they’ve done all three years they’ve made the play-offs. But, is this realistic or is there something else going on? If Bumgarner is really this good, why can’t he come close to doing it during the regular season where until this year he hasn’t even been in the Top 20 ERA. And, his fellow Giants follow in his footsteps, always improving in the post-season – a time when most other teams’ players numbers go down against stiffer competition; the Giants number go up. (Note all the pitcher improvements in above chart from 2014 post-season). Hitting-wise, Giants numbers have also improved in post-season, particularly that of Hunter Pence , who raised his average nearly 100 points in 2014 post-season and Pablo Sandoval who hit half as many homers in the post season as he did all year; then there are those late-season additions of journeymen like Cody Ross and Marcos Scutaro who would suddenly put up similarly unlikely numbers. Don’t be surprised to see no names like Connar Gillaspie do it this year. What’s also interesting is that Bumgarner’s velocity has dropped a couple mph’s this season, yet he has raised his strikeouts and lowered his ERA. A veteran pitcher doesn’t suddenly get better while losing his fastball like this. (While Performance Enhancing Drugs usally work to IMPROVE ones velocity they can also serve to do tricks in giving more movement to the pitched balls, e.g. greater curves, sinks and slides. 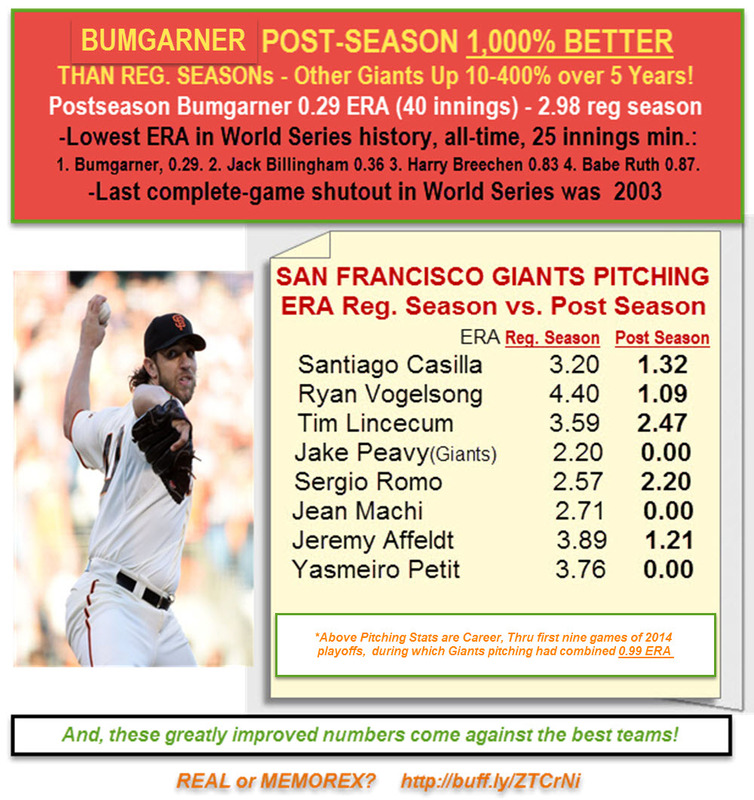 We’re not saying Bumgarner is using PEDs but, unlike most afraid to even bring up the subject, we’re looking for answers how Bumgarner and company seem to go from just making the playoffs seemingly every year to the World Series- and the Giants have a history of PEDs, more than any other team, right through the 2014 World Series. 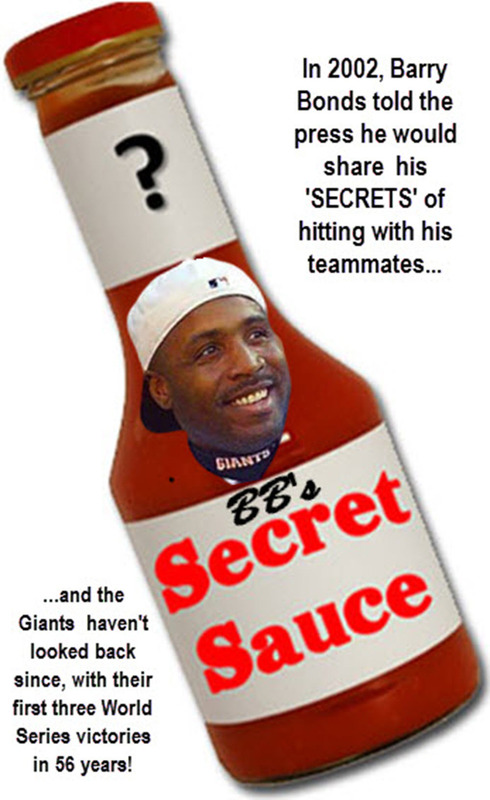 And answers to how the Giants went from first to worst team in one season; everyone wants to know that one. 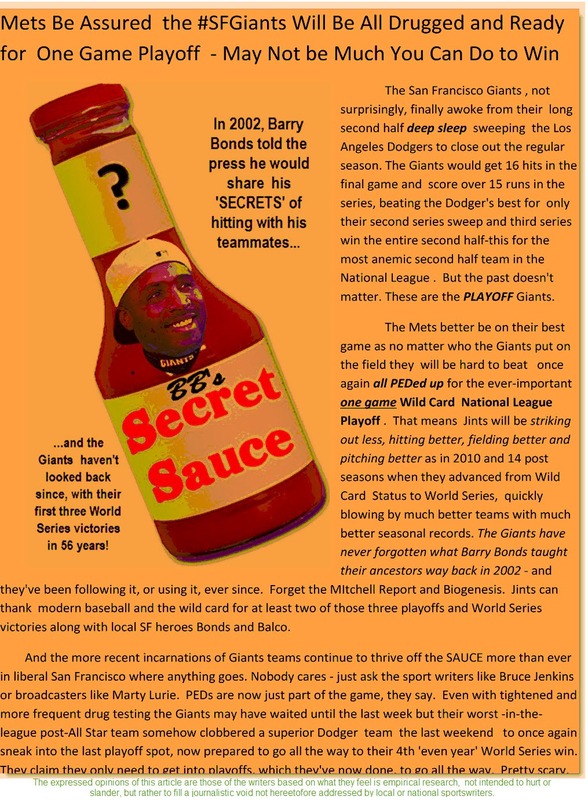 If SF does it again this year with a team that went from winning more games to losing more than any other team in the National somebody better do an investigation ala ‘Game of Shadows’ and Barry Bonds’ multiple 40 homerun seasons after the age of 40. What else could explain what has gone on far beyond coincidence? They say that the best teams don’t always win in the short play-off s and World Series while some of the worst teams do but we would argue that in a seven game series the better team should win (assuming one team significantly better than the other during the regular season). They say certain teams like the San Francisco Giants are more ‘prepared for the playoffs.’ Please ‘splain that one Lucy. A good team is good and a bad team is bad. Sure, experience plays a small part but the best team* almost always wins in a seven game series. The weaker Giants who were the 10th team to make the playoffs in 2014 and 2010 should not beat a significantly better team in a seven game series as they did time and again in three successive playoff rounds circa 2010 and 2014. Yes, the Giants have turned the tables on the above perception winning three World Series in five years- twice going from being an also-ran wild card team . 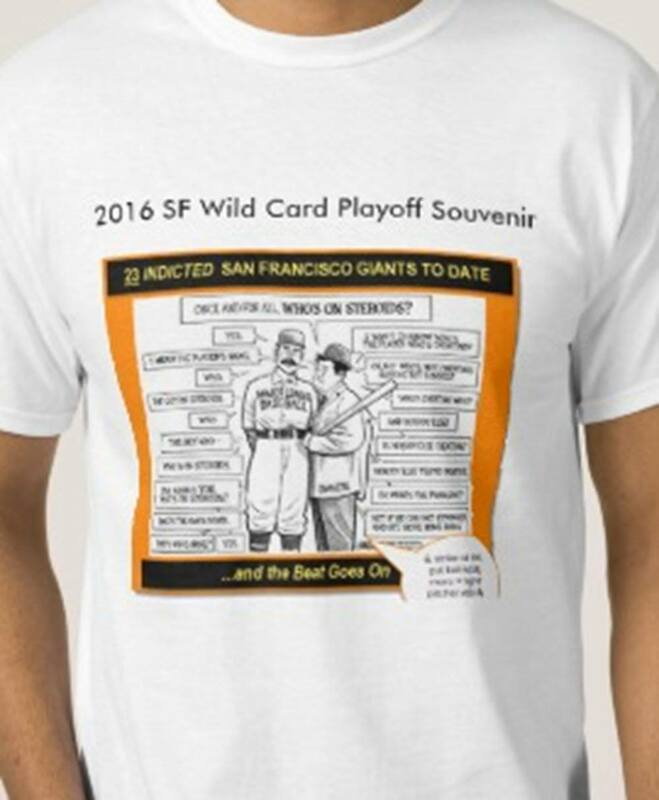 Somehow, in nine successive playoff series the Giants managed to BLAST THROUGH the better teams and then win the three World Series. A good or great team just doesn’t roll over throughout a seven game series. Sure, there could be a game or two where a team gets some bad breaks or a player or two play(s) below his normal ability. But, in seven games the clearly best team (if there is one) should win ou- and assuming no major injuries crop up. Otherwise there’s something else going on. And, take the San Francisco Giants, and there certainly was something else going on , in our researched opinion. GIANTS RARE EXCEPTION – BUT HOW, WHY? 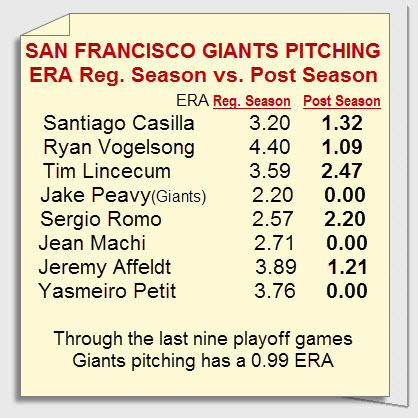 Going into the playoffs, the Giants had one premier starter in Madison Bumgarner, and even with him, he was only the twentieth best pitcher (ERA) in 2010 and 2012 with over a 3.00 ERA during the regular season. The Giants lineup featured virtually no power and only one star player, Buster Posey, the only 20 homer player on the team. Explain how three years running the entire team suddenly gets hot during the normal ‘dog days’ of August, September and October , playing above their heads not once but all three World Series playoff years. You have veteran players like Marco Scutaro coming in to hit 100 points higher not only in the playoffs but ever since joining the Giants in August. Cody Ross did the same thing in 2010, hitting eight homeruns the last month of the season. You have unknown minor league banjo hitters like Matt Duffy and Joe Panik suddenly hitting .300 , with power, late season and in the playoffs. You have veterans like Sandoval and Pence suddenly going crazy hitting over .330 in the 2012 playoffs – with Sandoval hitting three homers in one game against Verlander and six homers in the playoffs after hitting only 12 homers all year in the regular season. And on and on… and this against better quality teams. The Giants actually perform much better in the playoffs and World Series than during the regular seasons, not once but all three times. Once could be a coincidence but three times we question. See HERE for complete Playoff story. Then you had what we refer to as ‘GRAY market’ players the Giants are known for, like Jose Guillen and Melky Cabrera , Guerillmo Moto and Andres Torrez and even Michael Morris – all known PED users – not to mention a lot of ‘associations’ like Blanco, Ramirez, Mijares, Petit and Casilla (who was a bust everywhere until he got to the Giants.) 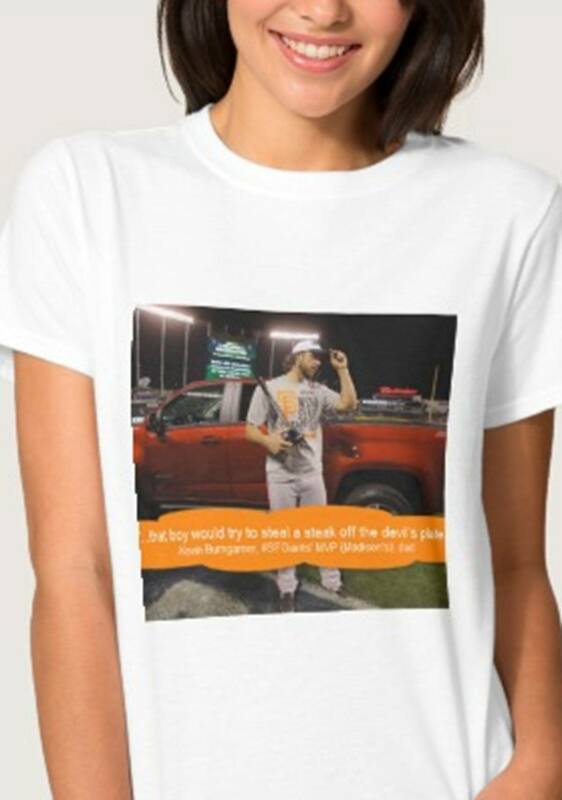 Sure, they have a good pitching coach but you don’t turn around all these players suddenly during the post season. 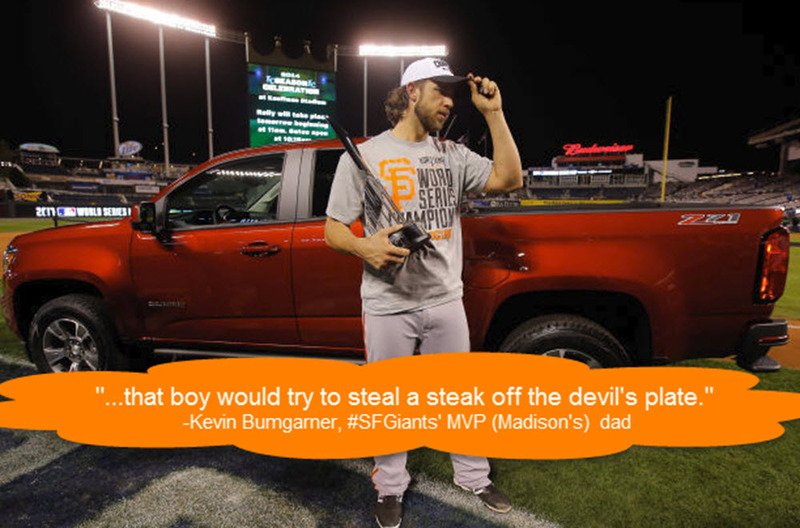 Even ‘washed up’ players like Zito and Lincecum would suddenly come to life in the playoffs. It’s those multiple, unlikely performances by unlikely players -many ‘black market guys’ other teams didn’t want- brought in late season on waiver wires or picked up by other nefarious means, that have made the most difference for the unlikely Giants to go ‘all the way.’ Honest or otherwise. The Giants would play off the unlikely sudden power and hitting and lack of strikeouts – yes, PEDs do help improve hand-eye coordination which may be why Giants probably lead the league in not striking out – and get away with lesser players suddenly making mincemeat of top teams, running up opposing pitcher counts, etc. 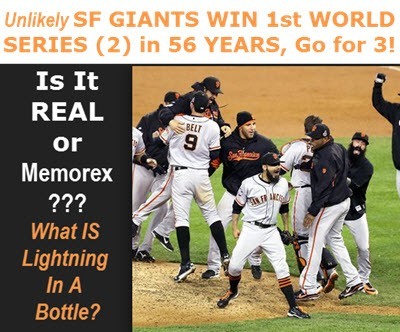 Kansas City is the only other team that has been known to play similaryly, and, they, too, have had a PED reputation – in fact, that’s where the Giants got Melky, along with Guillen and many others from the Giants ‘Pharm Team,’ if you will, circa 2010-2012. What other team has won world series with as few homers as the Giants? Probably none. While homeruns are mandatory to win a top team always has at least a couple power hitters (20-plus homers). So, yes, PEDs do make a difference, enough to put average or above average ones in the World Series over great teams (not using PEDs).